Sporting Country comprises a suite of photographs of places related to sport in rural Australia. Brown’s small and thoughtful black and white portraits of sporting clubs, stadiums, swimming pools and monuments contrast with the colour, energy and fervour of Australian sporting life. Central to the series is the notion of ‘faded glory,’ which evokes both nostalgia for a bygone era and the ongoing and passionate support of local sporting activities. 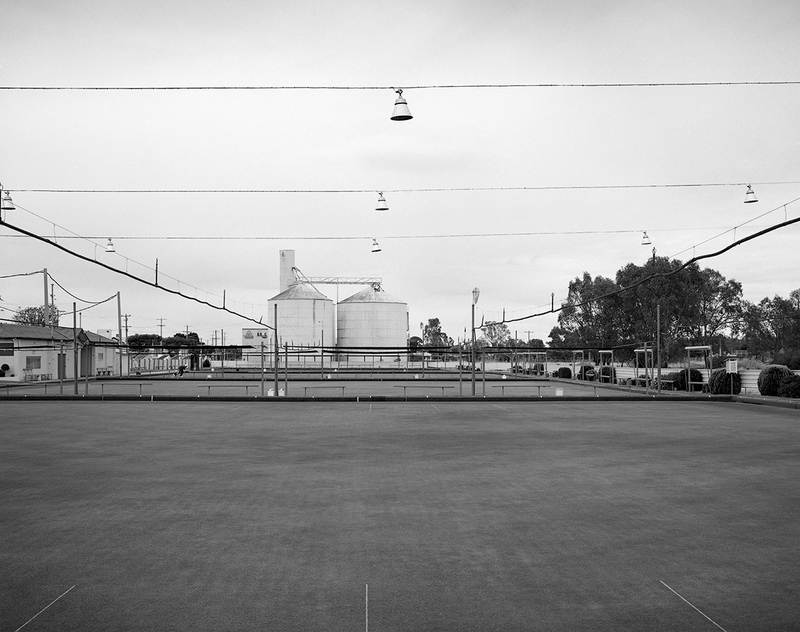 The meticulously tended bowling greens and football ovals pictured in these photographs testify to the determination of small town communities to maintain humble but much-loved sporting facilities in the face of a shift in support from local clubs to national and international teams. Photographed with film and hand-printed by the artist, these carefully constructed images speak of forgotten ‘legends’ and declining regional populations. There is a beauty and melancholy in this stasis that reflects Brown’s long held interest in the temporal. With great attention to detail and an anthropological eye, Brown captures the layers of history and the complexities of culture within the spaces she depicts.